Starting a lawn from scratch can be a daunting task, especially if you are dealing with some serious acreage. But with a little preparation and attention to growing conditions, you can have yourself a lush landscape in no time! The following steps will help you in your growing venture, outlining everything from assessing the condition of your soil to picking the proper time of year to disperse your lawn seed and how to care for your lawn when it comes to life. Typically, it is best to plant during the fall when seeds are still able to germinate in cooler temperatures without drying out. Come spring time, you’re guaranteed rolling green pastures! Test Soil pH – Before any actual planting occurs, you will need to test the soil’s pH level to measure acidity and alkalinity to determine if the soil is ideal for nourishing seeds and encouraging growth. Measure out soil into a pH test kit and shake well. Once the soil has settled, compare the color of the test kit to the color coded chart to determine if it is already optimal for germination. Grass grows best in soil with a pH between 6.0 and 7.5, so if your pH reading is lower than 6, the soil is too acidic and you will need to add lime. If the reading is above 7.5, the soil is too alkaline and you will need to add peat moss or sulfur depending on how mild the alkalinity is. We will cover how to handle this in a later step. Remove Rocks, Roots and Obstacles – In order to even out the soil and till it to a good consistency for seed germination, you should remove any large rocks or roots by digging them out with a shovel and filling holes with additional topsoil. Use a rotary tiller to break up any large pieces of packed earth. 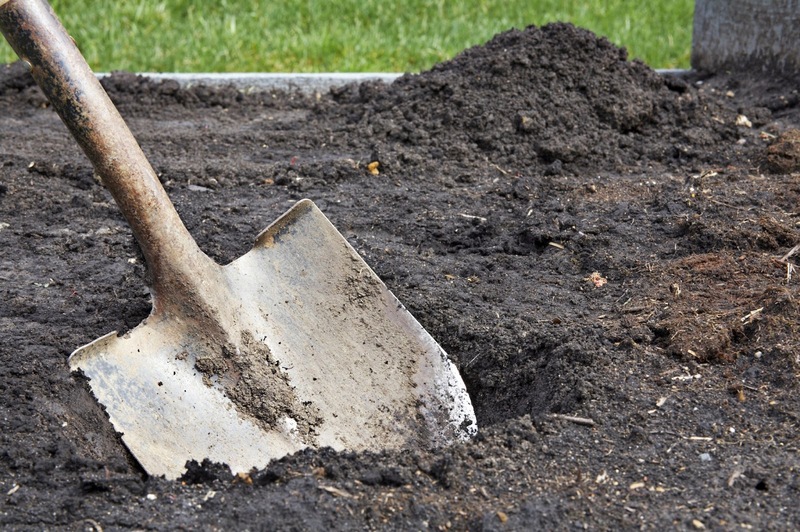 Add Sand and Compost – Now that you have leveled out the soil and removed any obstructions, use a shovel to distribute approximately one inch of sand across the entire planting area as evenly as possible. Follow up with a rotary tiller to mix the sand in with the soil. Use the same method to lay one inch of compost, again using the rotary tiller to incorporate it into the sand and soil mixture. Balance pH Levels and Add Fertilizer – If your pH reading showed that your soil was too acidic, you’ll need to add a layer of sulfur with the broadcast spreader. Finally, use the walk-behind broadcast spreader to distribute starter fertilizer across the entire area. All of these need to be applied at different rates to be effective, so take your time in distributing them across the soil and do not mix them together in the spreader if you are trying to cut down on time. You’ll need to work the fertilizer and sulfur or lime into the top layer of the soil, so use a metal garden rake to mix everything together and then level it out. It’s Seedin’ Time – Using a handheld broadcast spreader (or a walk-behind one if you are dealing with a large plot), begin to disperse the grass seed evenly across the entire area of soil. Flip over a plastic leaf rake to use the back of the tines in order to work the seeds gently into the soil. To avoid patchy grass growth, use short strokes to avoid redistributing seeds. Water Regularly – After you have sowed the seeds and raked them into the soil, water the entire area lightly, taking care to make sure there are no dry spots. Water two to three times daily for the first 8 to 10 days for only 5 to 10 minutes at a time so as not to wash away the seeds. Once seeds have germinated and grass begins to appear, water daily for 15 to 30 minutes at a time. 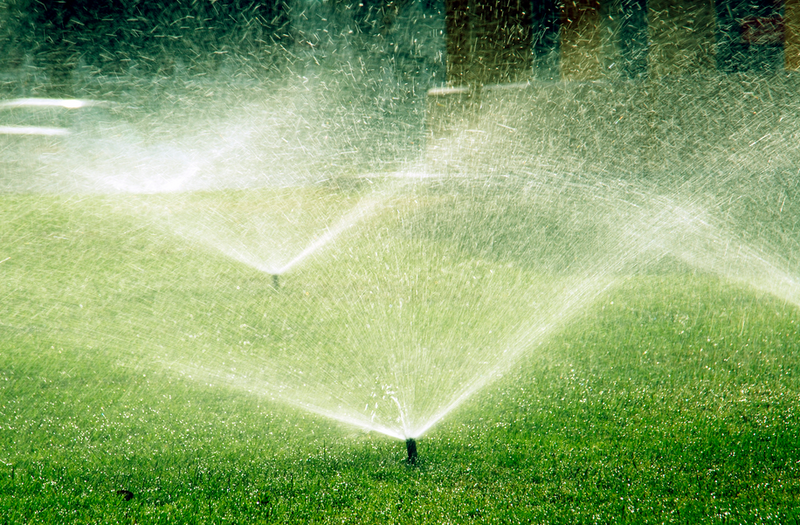 Try to water in the morning when there is less evaporation so your grass can take in an adequate amount of moisture. Do you have any lawn starting tips that worked well for you? Share with us in the comments! If you want to turn that patch of dirt in your backyard into a beautiful green blanket of lush grass, get everything you need at Paris Farmers Union! Whether you are looking for a heavy-duty yet lightweight rancher boot to withstand the daily dirt and grime of farm work or the rainy season is making your feet cry out for a waterproof rain boot with a colorful pattern to match your raincoat, Bogs footwear provides a wide range of multi-purpose, durable footwear options for men, women and kids. Bogs boots are able to withstand the most casual wear to the most rugged and down-and-dirty, keeping your feet dry, protected and comfortable all the while. 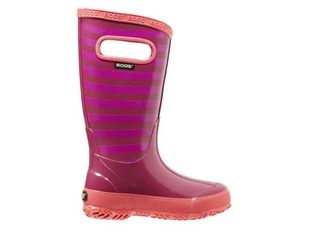 Ideal for keeping your little one’s feet dry and comfortable in the face of any activity or weather, Bogs footwear offers a more traditional rain boot, as well as their Classic Boot for kids, both of which are 100% waterproof and can be purchased insulated with 7mm of waterproof Neo-Tech lining for added protection on the interior. Available in a variety of different colors and patterns, all styles are crafted from a durable, yet soft and flexible rubber upper and feature a convenient handle punch-out for easy pull-on. From practical to trendy, Bogs offers a wide variety of durable footwear styles that are suited for any woman’s lifestyle, whether running errands in the city on a rainy day or hiking in the rugged outdoors - they’re built to last. All boots, including the new B-Moc Puff boot and even the Juno boot with its textile exterior, are 100% waterproof and designed to keep your feet comfortable and protected from the elements while maintaining a sleek and simple design that appeals to consumers. Bogs Women’s Waterproof Classic Boot is available insulated with 7mm of waterproof Neo-Tech and is constructed from a durable hand-lasted rubber over a four-way stretch inner bootie built to wick away moisture and increase comfort with Bogs Max-Wick technology. Built with easy pull-on handle punch-outs at the top, choose between ultra-high, high, or mid heights and select a color or pattern that best suits you. A modernized version of the reputable Classic Boot, the Plimsoll is another great all-weather boot offered by Bogs Footwear. Designed for wear during any season, the Plimsoll features an updated, sleeker design with a sneaker-like fit, but still retains the easy pull-on handles and all of the features that make it one of the most durable and comfortable brands on the market. Crafted from durable, hand-lasted rubber over a four-way stretch bootie with 7mm waterproof Neo-Tech insulation, the Plimsoll also has a non-marking and self-cleaning outsole. 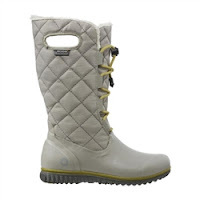 Unlike its counterparts mentioned above, the Juno Lace Tall waterproof boot is actually crafted from a soft, quilted-like machine washable fabric that can be easily folded and manipulated, making them a perfect choice for lounging around the cabin or taking in the great outdoors from the comfort of your patio. The Juno also features a quick close lacing system for easy adjustability. Designed with a slip-resistant BioGrip outsole, the Juno is 100% waterproof and is guaranteed to withstand temperatures up to -20°F/-30°C. Aside from the styles mentioned above, be sure to check out the Seattle for Bogs’ low profile, trendier version of an insulated rain boot, or the Urban Farmer Shoe if you are in the market for something more rugged and built for work. 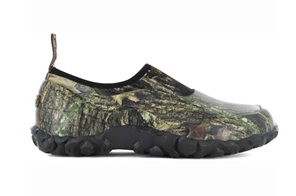 Whether you are looking for a practical slip-on for everyday wear or a hunting boot that is ideal to handle the often unexpected terrain of the great outdoors, Bogs offers a variety of men’s footwear options aside from the Classic boot style that is also available for both women and kids. As expected, all styles are 100% waterproof and are suitable for the great outdoorsman to the casual wearer. 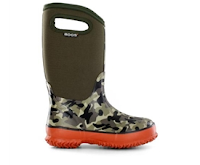 The men’s waterproof hunting boot line offers styles that are ideal for a variety of hunting conditions, including boots that are more specialized for turkey hunting or for terrains where snakes are more prevalent, and are better tailored for your hunting style. With a hand-lasted rubber upper over a four-way stretch bootie for a snug fit, the selection of hunting boots offered by Bogs are some of the lightest on the market and are optimized with instep reinforcement to keep feet secure when running with additional comfort and warmth thanks to the EVA insole and lightweight Neo-Tech insulation. Depending on the style of hunting boot you choose, some features may vary, but rest assured that everything that makes them Bogs is intact! If you are working in the construction field or in an area where your feet are subject to a little bit of occupational danger, you might consider investing in a pair of work boots with steel toe. Featuring the brand new Bogs BioGrip outsole designed for slip and chemical resistance, the outsole is still self-cleaning and ensures that you have the best traction on any given surface. 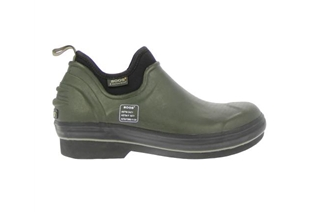 The boot features an easily manipulated rubber upper and a rigid, wide steel shank at the toe for added protection. Be sure to check out the entire range of Bogs Footwear that we carry online at Paris Farmers Union, and sound off below in the comments to let us know what your favorite pair of Bogs has been through!